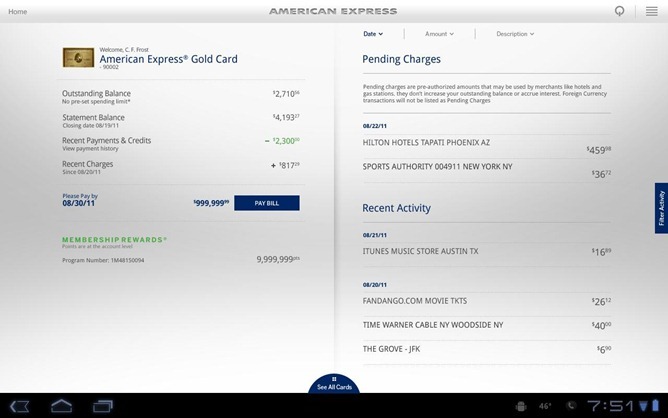 There are a number of factors to consider when choosing a bank and American Express may have given potential clients one more reason to pick them by launching the Amex for Android tablet app. 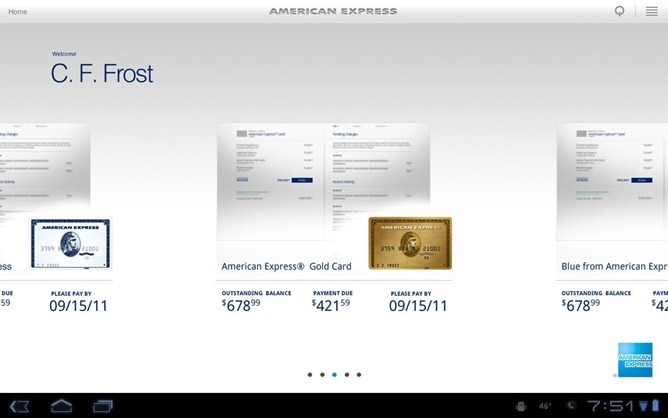 The app allows American Express cardholders to review charges, pay bills, and take care of most of their banking needs. 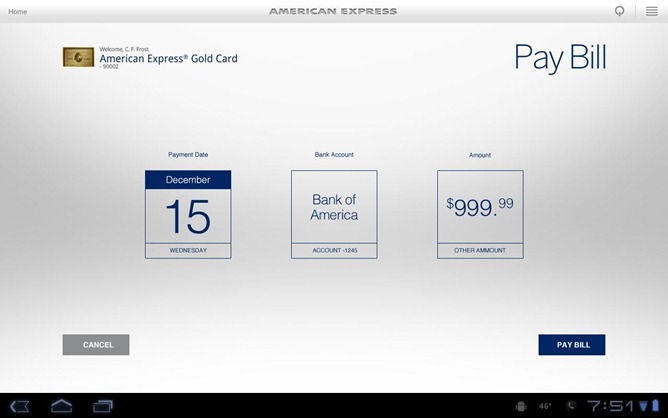 To use the app simply download it to your Android 3.0+ tablet and log in using the same user ID and password you would use on americanexpress.com. Early reviews of the app have been highly favourable, with most users noting that the app is well thought out, with a clean UI.